When accidents happen, your health and even your life may very well depend on what gear you choose. It's a good idea to put some thought into the materials, quality and protection of the gear you wear. Let's take a look at the basics. By Harald Holm, Bikez.com. Posted on March 29th, 2009. 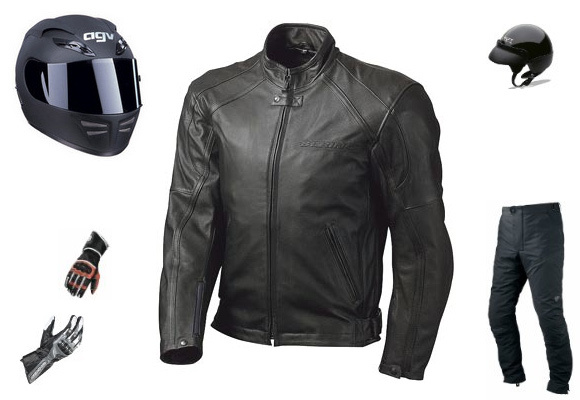 For many bikers the motorcycle is a tool for commuting, a practical transportation device. For others it's their baby, their better half, a manifestation of their personality or even the meaning of life. If you are not downright traumatized by the experience of getting your motorcycle stolen, you are at best left with loads of paperwork and likely loss of money. Becoming a safer rider should be a primary concern for us all. Thankfully there are several safety organization web sites and other resources on the Internet that provide guides and other materials that can help us become safer riders. The motorcycle safety ranking is based on our visitors' rating of each motorcycle on a scale from 1 to 10. To rate a bike, find the bike using the left-hand menu and click the rating option. You can see your fellow riders' rating of all motorcycles presented on Bikez. Choose the bike of interest and then show its rating. After that, you can select other motorbikes to compare it with. The rating includes saftey, reliability, engine performance, design, repair costs, touring capabilities, racing track capabilities, offroad capabilities, etc.